The commissioning process prepares a project for handover to the owner or investors. It is a sensitive process that works like an audit to ensure that all parts of the project comply with the standards and the regulations of the state. The business managers conducting the commissioning process are supposed to be focused on details and bold enough to reject mediocre results. The good thing is that they have the technology to help them perform their tasks with ease. 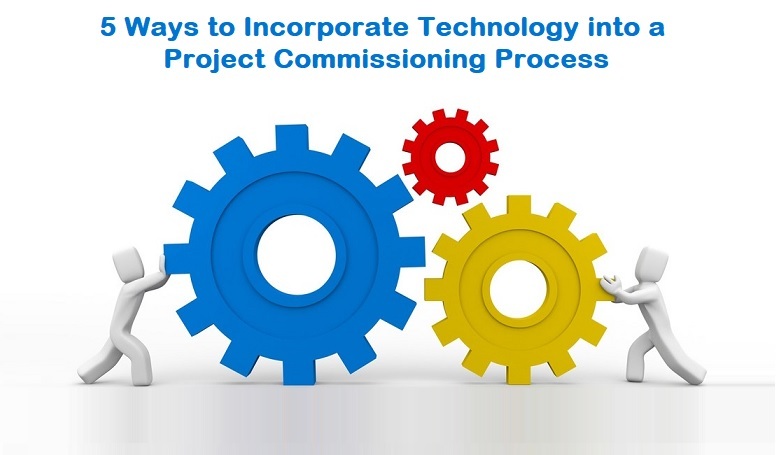 For those who are new to the industry, there are various ways one can incorporate technology into the project commissioning process to make it smooth and yield high-quality results. Here are the top five methods. Managers can only use the technology that the investors, staff and other stakeholders can understand. Reporting software and apps should be easy to use and understand if you have to use them. The good thing is that most can be aligned and customized to fit your needs in an understandable way. Here, you probably will need an IT expert to do the configurations. Every project has many risks. With numerous technology solutions that claim to reduce these risks, the managers have a wide variety to rely on. However, it is not ideal to be too trusting. Relying on facts is better. That is why it is necessary to do pilot testing, especially when changing from one solution to another. This way, you will be sure how deep the water you are about to enter is. Some technology will be excellent in supporting your project goals while others will not. As a wise commissioning manager, it is advisable to drop those that are not and focus on those that are in support of it. Such a move will not only save time but will also improve the quality of results. At the end of the day, technology will contribute to fulfilling the owner project requirements (OPR). The beauty of using big data analytics is that it provides various reports. It all depends on how the algorithms have been set by the data experts. As a commissioning manager, it is crucial not to fully trust all these. They are prepared by human beings, and people can make errors during the programming process. You can pick samples and verify their effectiveness using other means like the manual processes. If there are unresolved issues, then it means your reports will have a problem and consequently, the decisions you and the owners make will also. Do not let this happen. No matter how deeply you have incorporated the technology, it is crucial to sit back and have a review of everything. The human being is the ultimate decision maker, and technology can only facilitate this with facts. In fact, it makes work easier. Sit down with your team and brainstorm whether everything is making sense or if there is a better way of doing things.